Microsoft recently released their next major evolutionary update to Windows 10 called Creators Update. It boasts a lot of new features and innovations. New additions in the update include Paint 3D, Remix 3D, and greater support for augmented reality with Windows Mixed Reality. Some new features include better Cortana integration with more apps, the ability to easily broadcast games live with Microsoft’s Beam service, and blue light reduction (like Night Shift in iOS). Edge even got a feature update with tab grouping. There is also a larger feature that has gamers excited called Game Mode. There has been some early testing done and it was found that enabling this mode with slower, cheaper processors did see a performance increase while gaming. As far as new security features, Microsoft is investing heavily in Windows Defender. They have given Windows Defender its own home with a new applet called Windows Defender Security Center. It gives much more information and allows for overall easier management of security features. Windows Defender Security Center includes other security measures for management, such as Windows Firewall and browser security settings. Additionally, Windows Hello now allows for proximity auto-locking when paired with a bluetooth device. 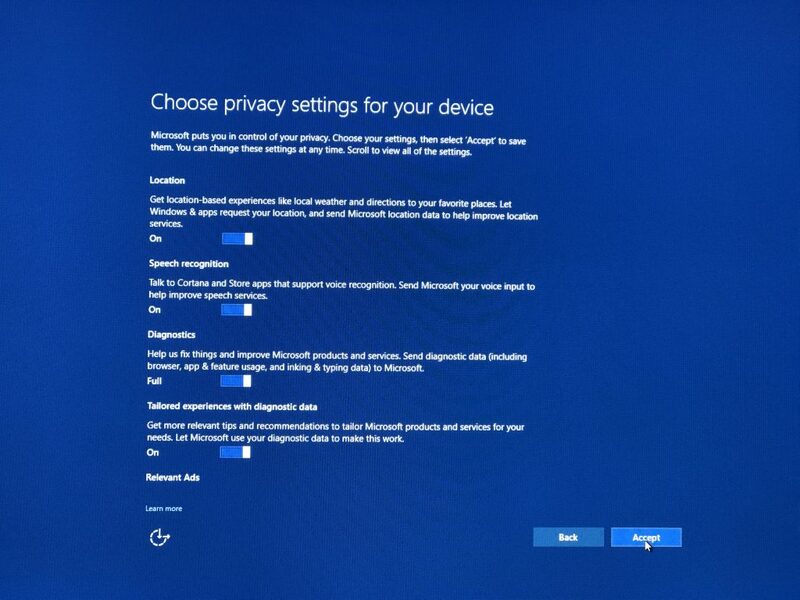 Microsoft also added a privacy dashboard which will allow one to manage activity data across multiple services and more simply change privacy settings. All of these features and updates are exciting for anyone interested in technology. But, before one dives straight into the update, even if offered automatically, there are some things one might consider doing first. Below is an outlined process by which one might go about performing the Windows 10 Creators Update. Be sure to check the Use Vhdx and Use Volume Shadow Copy options. Choose a path where to save the image file and give it a name. The author strongly recommends a USB 3.0 external drive with adequate capacity on which to store the image, when considering a path. Check the box of the appropriate volumes which should be included, excluding any external volumes. Depending on how much data is on the volume(s) selected and the transfer speed of the drive used, the time required to complete the backup can range from 30 minutes to several hours. Browse into the image once it is created to make sure it is not corrupt and your files will be accessible, in case the update procedure fails. This can be done by right-clicking the drive and selecting Mount, then opening Disk Management and right-clicking the mounted Disk and selecting Online. When done, in Disk Management right-click the mounted Disk and select Unmount. An additional prompt will appear, just click OK.
Just for safe measure, be sure to unplug the external hard drive after safely ejecting it. If the Creators Update does not appear automatically, it can be started by browsing to the following Microsoft Creators Update page and clicking the Update now button. This will download a small utility which starts the update. 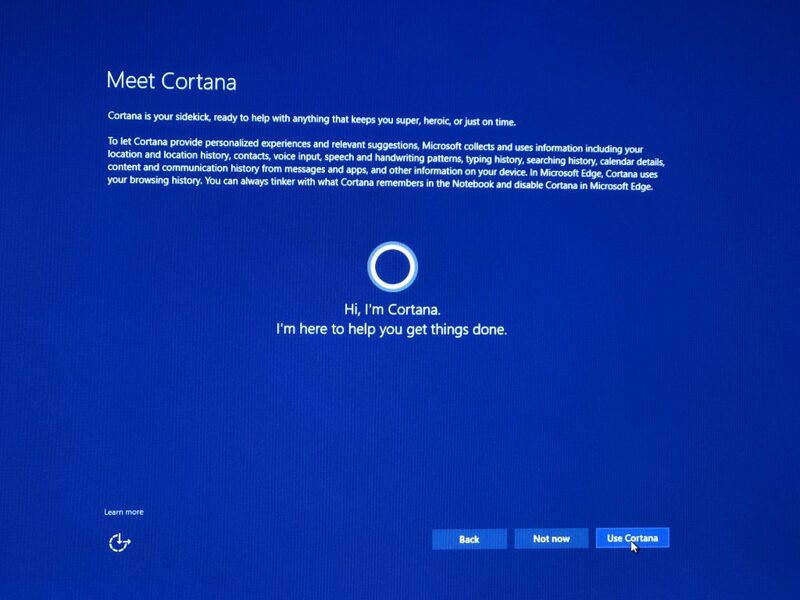 Launching the utility brings up the Windows 10 Update Assistant. Click the Update now button. This will perform a check to see if your system passes the requirements for the update. The utility will then begin downloading and installing the update automatically. 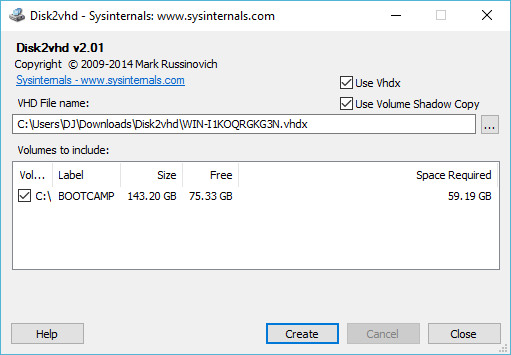 Depending on the speed of your connection to the remote server (the Internet), this download can take several minutes to several hours. Feel free to work in the meantime and minimize the window. 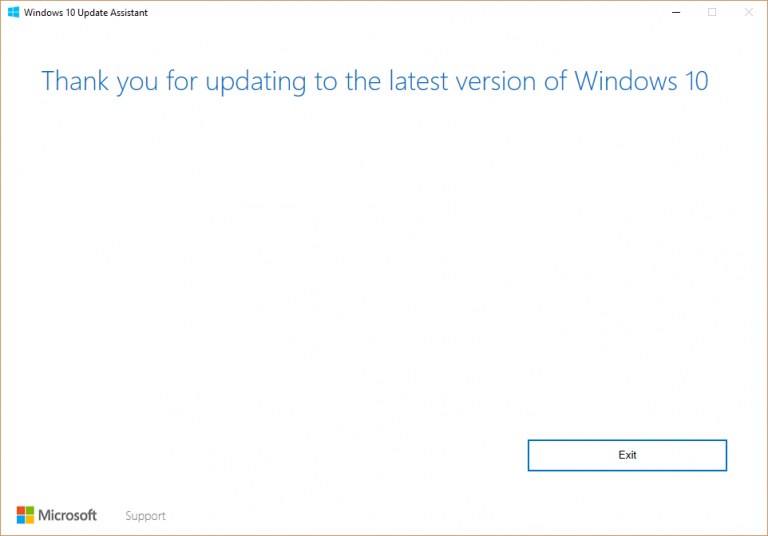 Windows 10 Upgrade Assistant window. 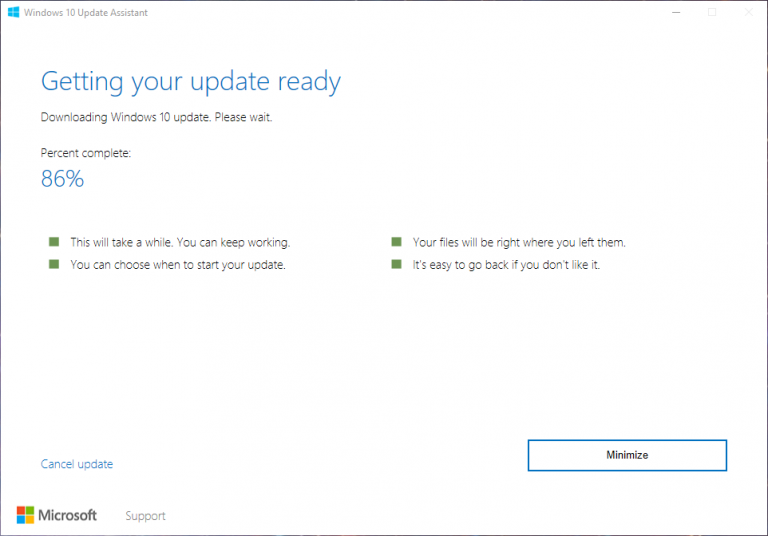 Once the update process is completed, the Windows 10 Update Assistant will prompt for a restart of the computer. It also kicks off a 30 minute countdown timer, so be sure to be close at hand when this part of the upgrade process approaches. An unexpected, automated reboot could cause loss of data. Below is a video of the update process. There are several reboots and it took almost an hour to complete on a 2014 iMac with an Intel Core i5 processor and 1 TB spinning disk drive. After the update is finished, you will be guided through some of the new settings, displayed below. First screen after last reboot of update. After everything is complete, if there are no issues, you will be presented with the following screen. 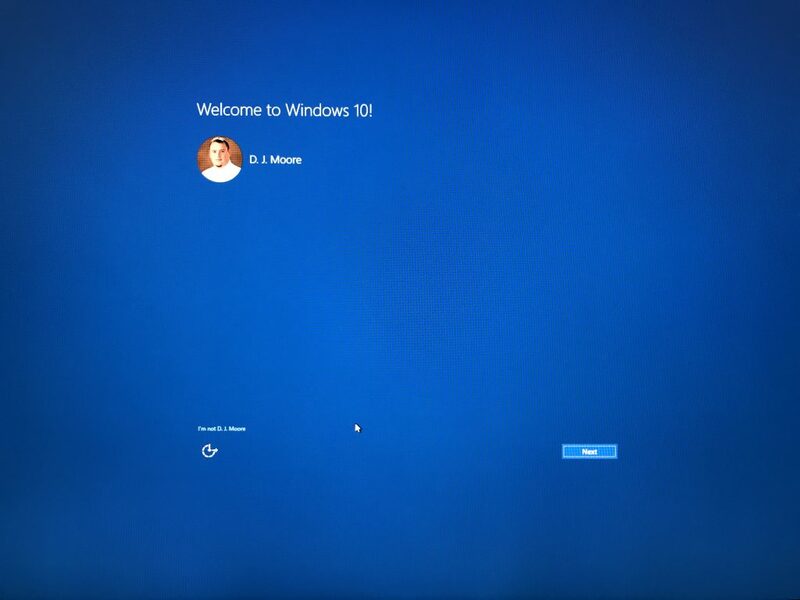 Windows 10 Update Assistant Thank You screen. I immediately noticed that the iMac on which this upgrade was performed seemed to run much quicker than it previously had. It is hard to tell if this is due to the optimization of Windows 10 in this update or because the update was like refreshing the system. Applications seem to launch faster and boots seem quicker, as well. What results have you noticed after the update? Post a comment below with anything you experienced or what you think about the Creators Update.